The first is from my sister-in-law Lois --- she has me itching to do some more iris folding! It's a bit time consuming, but the end result is always worth it! 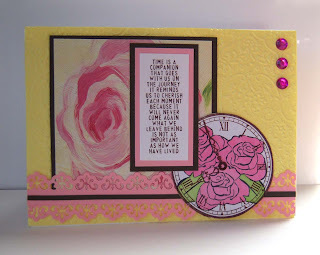 The second is from my friend Christa -- just love how she stamped the rose image over the clock face! 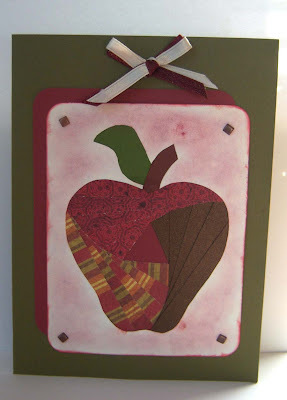 I must try this sometime (I just found that rose stamp at Dollar Tree for $1 within the last two months). Unfortunately, Lois doesn't have a blog (I wish she did - she does beautiful work), but you can visit Christa's blog here.